In Theodoor, we aware of the importance of using problem-free products.Good sales rely on the uniform suport and services provided by Theodooor. 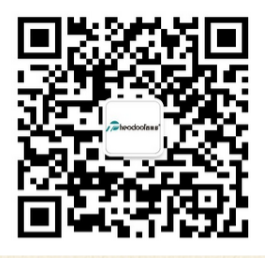 Theodoor has set up a service department for air curtains in China. This is a team providing technical and customer services for domestic and overseas markets.The comprehensive service network includes products maintenance,quality control,techical support,training,documents managements and hotline service etc.Together with other teams in Theodoor,the service team will expand its services and subdivide their services fo better implementation. Theodoor provides a ‘First call - Final Resolution’ technical support service. This means that our service system is connected to our production, sales, supply chain and technical development and completely linked together into an integrated administration system using a secure network which accomplishes key information sharing. Through an easy connection, Theodoor end users can obtain access to special technical advisors to help solve problems. In all aspects from product choice and user instructions to research and development, Theodoor provides the highest quality support services available. Paying close attentions to the unique demands of wide ranging customers we answer with unique responses. Aiming at precision, our innovative marketing strategy is global with a local focus. The highly effective execution of our CIS system provides a formidable marketing service for the dealer, ensuring that users at all levels can be provided with an efficient support structure at all times.